“Henceforth, organized darkness will no longer be permitted in any form on Earth or in any part of your Universe. The systematically organized Matrix and its proponents will no longer be allowed to operate unchecked under the name of free will. We declare this the end of the dark experiment and the beginning of the New Earth in all her Light and splendor. It was a historic week on Planet Earth. This message through our dear Kathryn will begin to explain the monumental changes that were created above and below, bringing the inter-dimensional connections closer than ever, since before the sinking of Atlantis. I want you to have an accurate overview of your planet’s history and the part you have all played in its descent into darkness and her restoration to the Light. It is the story of your soul histories as well. This account will include the true history of what happened in Atlantis, what plan the Company of Heaven devised to counteract the accelerating darkness on Earth, who the divine players were, and how this week was the culmination and the triumph over the forces of darkness that have held Earth captive for thousands of years. Many of you are aware that Kathryn planned a workshop/retreat near her home in the Mid-Hudson Valley in New York State. The group stayed in a small eco-friendly retreat center on the Crystal Mountain – the site of the great, newly reactivated crystal which is the twin of the great Arkansas crystal deposit. The crystals were reconnected late this summer during a previous retreat, and serve now as the energy transmitters that carried the ascension energies from the retreat across the country and across the globe. Participants came from around the world. Represented in the group were the incarnated twins of Jesus/Sananda, AAMichael, Sanat Kumara, Metatron, AAJophiel, along with AAGabriel and Sanaj Kumara. These are only the identities that have been revealed to the members so far. They will also find that AAChamuel, Kwan Yin, AAEzekiel and other equally powerful Masters will be identified when the time is right. The meeting was protected and overlighted by Athena and the Ashtar Command. Note that I have used mostly the male names because they are the ones you are most familiar with as a result of your patriarchal society. Their feminine twins are equally powerful and active in the Company of Heaven, and always have been. You see, we arranged this gathering carefully, so that the family could reunite at last, to fall in love again, and to re-enact the Last Supper, but this time with the culmination to be the fulfillment of the Jesus lifetime. They have laid the foundation now for the Resurrection and Ascension without having to go through the crucifixion. You will see how the threads weave together, from the beginnings of Planet Earth, through Lemuria and Atlantis, to the present civilization of this day and beyond. I will start with the story of Atlantis and the beginning of the invasion by the Archon Alliance. During the rise of the Atlantean civilization, Earth’s surface was very different from what it is today. Lemuria was still thriving, in the area of the Pacific that is now represented by its small remnants, the Hawaiian Islands. The landmass of Atlantis stretched south along the Atlantic coast for thousands of square miles, an enormous island continent larger than Australia and more lushly hospitable. It was blessed with great natural resources and was the home of the great crystal which provided energy for the entire planet. Lemuria was a highly evolved civilization of 5th dimensional and higher beings. They were a peaceful, joyful people, close to the Earth and to us in higher dimensions. Their relationships with other civilizations, especially that of their cousins and friends on Maldek, were closely knit in love and trust. It was customary for families to incarnate in both places, and warm feelings of brotherhood ran deep. Simultaneously, the Atlantean civilization was growing in a different direction. The latitude of what free will allowed was being stretched beyond what Universal Law prescribed. This included experiments in genetic engineering that defied the laws against creating whole beings without souls. Their creations were abominations, designed to provide slave labor and even entertainment for the powerful elite. The culmination of this dark period and the story I am about to tell you occurred approximately 26,000 years ago in your Earth time. There were a few of those in power in Atlantis who had made initial contact with the Annunaki and began experimenting with their questionable technologies, which the Annunaki traded for the rich natural resources, including gold, platinum and titanium. A number of the High Priests who were the Atlantean incarnations of the Company of Heaven became increasingly alarmed with the reckless and godless experiments, which they saw as extremely dangerous to the planet and the people of Earth. As a sharp division occurred in the Council over the unwise use of these technologies, both sides began to align with powerful allies. The White Hats, as we will call them, were deeply concerned about the growing power of the those who favored the dark experiments and the economic influence it provided. They solidified their natural alliance with the Lemurians and Maldekians, with treaties and informal agreements, hoping to discourage the renegades from expanding their power base. This was a period of formalizing and strengthening the organization which you know as the Galactic Federation of Light in this area of the galaxy. The dark-leaning Atlanteans saw this as a threat to be challenged, however. They were increasingly falling under the spell of the propaganda and seduction of the Archon Alliance of which the Annunaki were the most powerful force. It was a period of conflict and sadness for the High Priests who held the Light, as they saw some of their friends and loved ones being enlisted into darkness. The most powerful of these was the incarnation of Archangel Hope, the twin flame of Archangel Gabriel, who was increasingly fascinated by the lure of great power and glory being offered to her. She was, of course, a great prize in the eyes of the dark forces. The dark faction argued that the Lemuria/Maldek alliance threatened their free will and endangered the security of the Atlantean people, and that they should harness the energy of the great crystal to provide defensive military power. To give credibility to this argument, the Archons secretly established a base on Maldek and laid the groundwork for an attack. The scheme was the first False Flag attack on Earth, engineered without the knowledge of any of the original Atlantean Council. The use of the crystal was accomplished with the help of Atlantean insiders who had fallen for the paranoid, fear-mongering Archon propagandists, much as the cabal co-opted the population in recent years in the U.S. and Europe. Their “9/11” involved an attack from the secret base on Maldek, aimed at a small city on Atlantis where rich mineral deposits were being mined by Archon slave labor. Horrified, the Council met to decide what to do. The dark ones argued for returning the attack, while the White Hats held to the philosophy that the sacred crystal could not ever be used for military purposes. Hope was one of those who voted to retaliate. Although there was a minority in favor of the action, the dark ones had no intention of abiding by the Universal principles. Unauthorized, the Archon infiltrators gained access to the crystal through the actions of a small group who betrayed the Council and instigated an all-out attack on Maldek. They were somewhat ignorant about the power of the crystal and its potential. When the beam was fired at Maldek, it burned through the center of the planet, causing an implosion that destroyed the entire planet within minutes. Although the Maldek people were preparing to evacuate, the attack was so sudden that only a few thousand were saved. The weapon, like the scalar technology of today, had the ability to dissolve souls as well as material bodies. Once the atrocity was done, and it was known which members of the Council had voted in favor of it, the dark ones had a weapon against them. They could then threaten and manipulate the hawks of the Council by reminding them that they had voted to use a weapon that destroyed souls, and therefore they would be severely punished if they tried to return to the Light. And so the modern-day cabal was born. Once the die had been cast, the Annunaki then worked their dark program, using every lie and trick imaginable to convince the guilty ones to join them in their glorious stance of power and righteous patriotism. They were, after all, only protecting their homeland. Further paranoia was stirred up against the Maldek-Lemuria alliance, and the now-united Atlantean cabal, celebrated as heroes across the Archon alliance, decided they had no choice but to attack Lemuria in a pre-emptive strike. And so, Lemuria was also targeted, and the entire continent sank beneath the sea. Some of the survivors went into the Inner Earth plane to establish the secret civilization you now know as the Agarthans. They have continued to evolve and to hold the Light until such a time as they could finally reunite with their surface brothers and sisters. The High Council was devastated by the turn of events, and began to evacuate from Atlantis, fearing the result of such blatantly evil actions. A handful of the High Priests journeyed to the Himalayas, where they remained hidden for thousands of years, and a second group fled to Central America. There they established the early Mayan culture. Drunk with power, and certain that joining the dark offered them a better chance of living a life of luxury and glamour, Hope and her group of defectors agreed to follow the Archons in their tradition of recycling through the 4th dimension rather than returning to God between lives. They had felt the power of defying God, and they had no intention of going back, and so the Earth came under the control of the Annunaki, the lead dark controllers, and their minions, the Reptilians. These were the same souls who then became the 13 families – the present day illuminati. Earth was so destabilized by the sinking of Lemuria that she shook with earthquakes and volcanic eruptions, and within weeks the continent of Atlantis sank beneath the waves, also with great loss of life. Many of you have heard the story of the priests who remained with the people, singing to calm and raise the vibration of the people who were to transition, as Atlantis sank into the sea. The Company of Heaven was stunned by these events, and met to devise a plan to counteract the power of the new dark elite, who were unfazed by the destruction, and immediately reincarnated on the surface in groups to establish their power on Earth. And so it was decided that a member of the White Hats would volunteer to incarnate with them, as a double agent, to try to mitigate the damage and provide information to the White Hats from inside the cabal. Gabriel, who wished to balance the destruction of his twin and who hoped to find a way to convince her to come to the Light, volunteered to take the assignment, and so The Lucifer Project was born. Gabriel told some of his story on last week’s call (Wednesday, March 11, 2015) on BlogTalkRadio.com/ChannelPanel, so I will not attempt to retell his perspective here. I do want to tell of our gratitude and great Love for our beloved Gabriel, who incarnated through the millennia, over and over through the 4th dimension with the cabal in the disguise of Lucifer, whom the dark ones saw as their leader. He maintained his deep connection with us, aligned always with our Love, and it sustained him in spite of his loneliness and longing to return Home to our embrace. He also knew as the lifetimes passed, and his Twin fell deeper into the web of darkness, that he had lost the love of his life and that there was nothing he could do to bring her back. He saw not only that it was her free will choice, but also that he could not reveal to her that he was not really the Lucifer she knew, but that he had remained true to the Light. If he had, she might have exposed his true identity, jeopardizing the success of the entire project, for she had become drunk with power and blindly vindictive toward anyone who crossed her. You see, the Fallen Angel was not Lucifer. It was his twin, Hope. You are beginning to learn, Dear Ones, of the extent of the service your loving Masters have performed during this entire descent and return to the Light. You have all been a part of that dedication and service, each in your own way, holding the Light as we moved step by step, through the twists and turns of the drama that was the struggle between Light and Dark on Planet Earth. You have all grown and expanded in your capacity to love and to feel the deep family connections you share with one another, and there will be more discoveries to come. In just the past week, we saw our beloved Jacques, whom we call Trine, bring the keys within himself which allowed the healing and restoration of the integrity of the Tree of Life. Gabriel released the template of the dark cell he had carried, ending the Lucifer Project and the contracts by which all humankind were bound. Also within the high vibrational setting of the mountain retreat, Kathryn led the final confrontation between Light and Dark, as she and her group challenged two members who had come to represent the embodiment of the Matrix programs. In their complete immersion in the dark programs, they re-enacted each phase, predictably expressing step by step the entire range of passive and aggressive moves which characterize the Program. I will ask Kathryn to describe the Program elsewhere so you will all see how predictable and rigid it really is. Because of her many years of experience, she was able to draw up the flowchart that predicts each move, and where the one who is completely immersed in the Program will go in their attempts to defeat and derail anyone who questions the power of darkness. In the process, she became very skillful at finding ways to “throw a wrench” into the program with questions the Program could not answer, like “where did you learn mind control?” The result was always that the one being questioned would grind to a complete halt, unable to speak or think. This is the mark of a victim/perpetrator of a dark program. As our dear Lady Venus observed, this gathering of Light souls, now in the command position, recapitulated the original Inquisition, in reverse. Light now is in charge on Planet Earth. That day, their resolute stand against the dark was observed by the entire Cosmos. 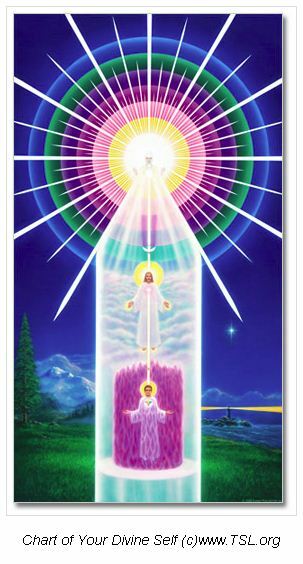 The Temple of Light surrounded and observed our incarnated Masters as they held fast against the illusions of the Matrix, consciously restoring themselves and the planet to the new condition of Light and Love. When their work was completed, Kathryn/Nada came to us with the evidence of what all had learned there: that the organized darkness which had been allowed to hold sway on Planet Earth was too much even for Masters of the Light to hold out against when they descended into the human form. The organized assault on the human mind, body and spirit, allowed to fester and expand unchecked, had created intolerable damage to the bodies and souls of humankind. It was a game that could not be won because the cards were stacked against humanity. The Experiment had proved that this kind of organized, systematic darkness should never again be permitted on Planet Earth or anywhere in our Universe. The evidence was obvious and compelling. Even our great Master, in the body of one of the participants, in spite of a lifetime of effort and help from our best Lightworkers, could not free herself from the hold of the training she had experienced at the hands of the cabal. The group of questioners held fast, in spite of their compassion for her. No one must be permitted to send out dark, hypnotic vibrations to seduce or destroy others. This resolute stand against darkness on Earth allowed us to make the final decision to confirm, once and for all, that we have concurred with the request of your Earth Council. Henceforth, organized darkness will no longer be permitted in any form on Earth or in any part of your Universe. The systematically organized Matrix and its proponents will no longer be allowed to operate unchecked under the name of free will. We declare this the end of the dark experiment and the beginning of the New Earth in all her Light and splendor. You will begin to see the gradual dissolution of the Matrix in all its forms. This process is being speeded by the unfaltering efforts of all who are reading this to raise yourselves out of the mindless immersion in the tricks and deceptions of the dark programs. As we have all seen, it requires moment-by-moment mindfulness and determination to remain centered in your brain and body, anchored in Light. I have asked Kathryn to create a log of Terra’s recent travails and triumphs, for she and Sanat Kumara are the Masters who joined together to become the soul of your beloved Terra. They have created a program to aid in her restoration, and your participation in her healing is greatly needed at this time. Your part in this speedy movement toward complete Ascension into the Light has been presented here in great detail over the past months and years. Do not fall into any form of negativity – the depression, frustration, entitlement, despair, intolerance, anger, “skepticism,” impatience and lack of faith you were so used to feeding upon. It was the trap laid for you by the dark ones. It separates you from me and from each other. We have given you the tools, and we continue to give you more help each week. This is not a one-time shift. It is a way of life, a building of character that only you can accomplish for yourselves. Come into my embrace, Beloved Ones. I hold the memory of your highest Light always in my heart. As you reach deeply into your hearts to ascend even higher than you have ever experienced before, know that we are here to receive you, to support you and to shower you with our tears of joy as you enter into the purest Light of Heaven. You, humankind, are truly our great and glorious Creation. Know that you are never alone. We are your Mother and Father, the Creators of All That Is, in eternal Love. If links do not work, please copy and paste to your browser. Listen to our radio show from last Wednesday! We send thanks and much gratitude to those who have generously supported us. We could not have continued without your help, which we trust will pay our expenses for our recent trip and more to come. Internet Radio shows with archives: BlogTalkRadio.com/ChannelPanel http://www.blogtalkradio.com/channelpanel. © Kathryn E. May, PsyD. Permission is given to copy and share these message, providing they are presented in their entirety without additions or deletions, and credit is given to the channel and to the website, www.whoneedslight.org. Translations must be approved by the author and the scribe. Planet Earth and her inhabitants are presently moving through the 3rd/ 4th dimensions as preparation to enter the 5th dimension. [i] This means that a vast amount of NEW INFORMATION is necessary to assist in an expansion of our conscious awareness. 3rd dimensional life has been based largely on intellectual knowledge—which can be proven by our 5 lower senses. Now that we are preparing to lift our consciousness to higher dimensions, there is much to learn. Now is a time in which to taste NEW KNOWLEDGE, i.e. meat. Rather than refuse to read or listen to the NEW, let us open our minds to receive it. Sure, we have to chew meat, but just as solid food can satisfy our hunger more so than milk, so can the “metaphysical” – meaning “beyond the physical” better satisfy the gnawing questions we try to ignore lest we lose our faith. Faith that can be lost is based on uncertainty; Truth cannot be shaken! 2nd – I suggest listening to the narration of the Removal of the Cabal from Earth. Their physical bodies remain on Earth, while their Souls have been taken to The Temple of Light on the 4th dimension. The silver cord (Essles. 12:6) attaching the physical body to the Soul has not been severed and continues to supply life energy to them. This show is especially important because—as you know what is taking place on higher dimensions—you can observe the changes in behavior of the cabal on Earth, as they begin to act in accordance with the positive transformation taking place within their Souls. This allows you to have visual proof of the changes taking place on the Soul level. Once their multiple life reviews work is complete, the Souls will return to Earth as Lightworkers. We also learn that Souls can be present simultaneously in more than one location. While the Souls of the Cabal work on 4th/5th dimensions, Father/Source is conducting a series of Soul Studies for us. Father/Source describes this series: “I will talk with all of you about the departure of the cabal souls and what that means for you on the ground. You will learn about the soul process that will allow the dark ones to raise themselves back to the Light and to redeem themselves after the thousands of years without my guidance or comfort. Father/Source: “I will talk with all of you about the relationship between you in your incarnation, your soul, your Higher Self, and me. 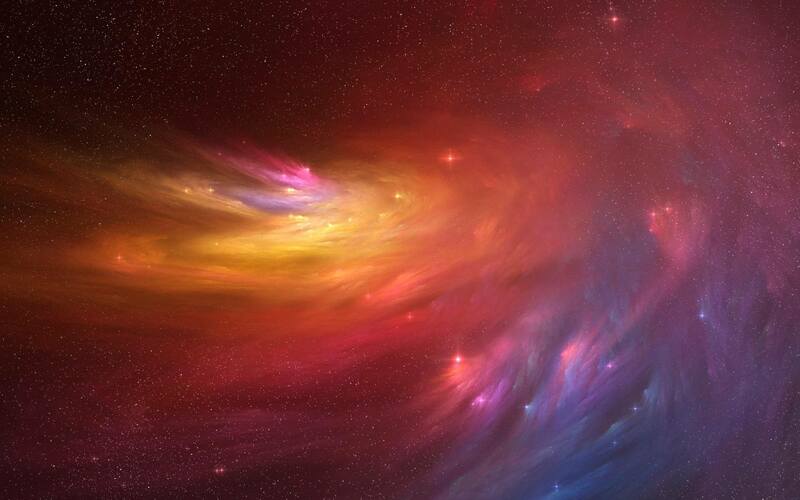 It is important for all of you now to understand your true identities as Masters and as Galactic beings. [ii] I Corinthians 3:1-3 – Lamsa’s translation from the Aramaic of the Peshitta.